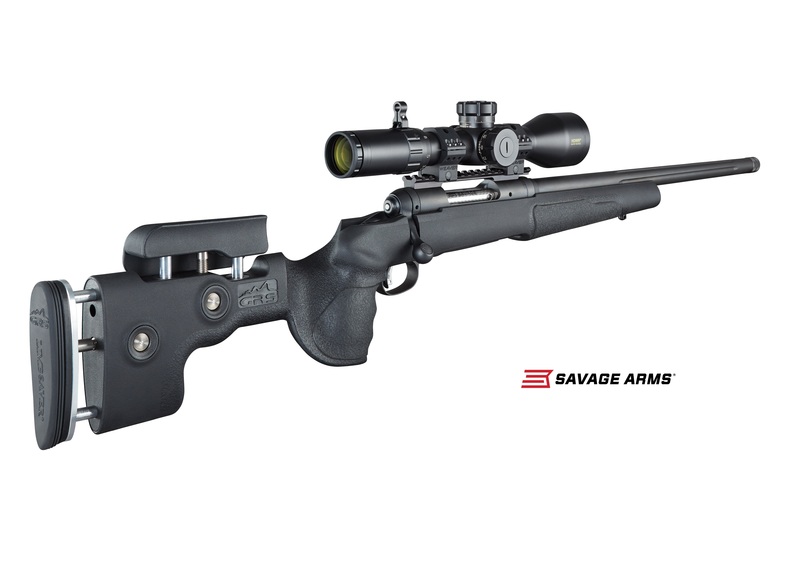 SUFFIELD, Connecticut - April 19, 2017 - Savage Arms is pleased to offer serious long-range shooters a new secret weapon with the Savage Model 10 GRS. The rifle delivers exceptional accuracy and performance whether you’re engaged in top-level competition or simply trying to beat your personal best. Shipments of these firearms are currently being delivered to dealers. The Model 10 GRS houses the full suite of accuracy-enhancing Savage features firmly within a GRS stock made of 15 percent fiberglass-reinforced Durethan, with 65 percent glass bedding material. The rock-stable stock’s slimmed down dimensions and textured surfaces provide a better grip in wet conditions, while its length-of-pull can be adjusted to fit any shooter. Plus, its Savage action, precise button rifling, fluted heavy barrel and user-adjustable AccuTrigger deliver the accuracy of custom rifles at a fraction of the price.